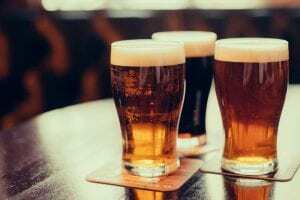 Beer has been one of the world’s favorite beverages for thousands of years, known to quench some thirst and create grounds for a good time, so why not expand your knowledge a bit to impress your friends and maybe even yourself. Some historians believe brewing beer began as early as 5000 years ago along the Tigris and Euphrates rivers in northern Africa. 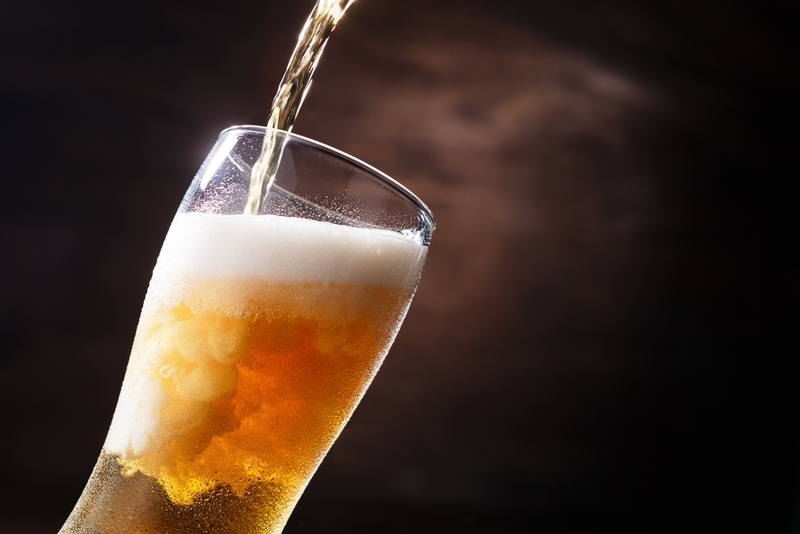 There is also evidence of beer being brewed in ancient Iraq, this is shown by a 3900-year-old poem written by the Sumerians. The poem was written in honor of Ninkasi, the goddess of brewing, it contains one of the oldest brewing recipe to date. Theory goes that the Egyptians conquered ancient Sumer bringing with them the art of brewing, over time the Egyptians were conquered by Greece who then began to cut transport and production of beer (sound a little familiar? Maybe a little prohibition like?). With Greece disdaining the beverage or their new rivals (the Egyptians), they continued with their wine production, while Rome felt they should take to the craft of brewing to expand their empire. 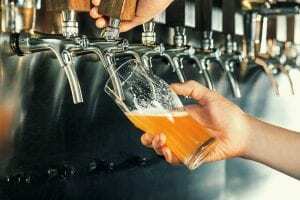 During the expansion of beer brewing in the Middle-East, Northern Africa and the Mediterranean regions, the northern regions of the world had their own brew-fest going. After the spread of beer brewing across Europe, Africa and Asia brewing spread worldwide and hit the U.S like a bomb. And now, here we are. With the many countries making beer throughout history there are obviously many different kinds and styles. To cover a few different kinds of beer, these are; porters, stouts, ales, lagers and malts. The different styles are a different ball game and are endless, there is a pale beer, pilsner, IPA and a bunch of others. Most styles and types will be listed here to help you find the right beer! If you are looking for a dark beer, this is one of the kinds of beer you should be reaching for. Porters are a dark beer, almost black, these are a kind of Ale brewed with a combination of roasted malt for flavoring, scent and color. The darkness of this beer is something that not many are too fond of but paired with the right foods it is possible to truly enjoy a porter. This is a full-bodied beer that pairs well with a variety of foods due to its full bodied fruity flavor. Barbecue in specific pairs very well with an American style-porter or even a smoked one for an extra smoky flavor. Porters are also a great partner to fudge brownies or any other kind of chocolate dessert; you could even pair this kind of beer with blue cheese and other kinds of bold flavored cheeses. Stouts are beers that have been paired with Irish dishes such as cabbage and boiled bacon for centuries, due to their full-bodied flavor and consistency. The caramel-like flavor of a lager opens to a subtle bitterness, making it work well with lightly herbed chicken. The crispness of the lager will cut through the poultry, it will also cleanse your palate between bites. Stouts are black much like porters, although stouts are like porters in color they are more astringent and coffee-like rather than fruity and sweet. This kind of beer is a bold variety of ale, though bold it is not too strong nor too heavy; these beers are mostly known to have rich and creamy heads. Stouts are brewed with a portion of unmated barley that has been roasted for the development of its dark coffee feel. Made with top-fermenting yeast at cellar temperature, ales are one of the most expansive varieties of beer. The styles of ales are endless ranging from, bitters, abbey ales, nut browns, amber ales and milds. This beer originated in the northern regions of the world, the recipe is based on the assumed first recipe for beer from way back 5000 years ago. These beers are full-bodied and brewed with different kinds spices and fruits making for a malty, fruity and spicy taste. Ales tend to be rich gold in color to red amber, at times even darker, like a stout or porter. The name lager comes from the German word lagern meaning ‘to store’, this alludes to the way lagers are stored for several months in temperatures just above freezing. These beers are refreshing with a smooth finish from how long they are left to ferment. Lagers are considered the world’s most popular beer, including pilsners. A lagers flavor profile ranges from bitter to sweet and black to pale, lager is usually used describing the bottom-fermented brew style of Czech, German and Dutch descent. Most lagers are pale to medium in color, have a medium to high hop flavor and have a high concentration of carbonation. When it comes to malt beers flavor profiles are everything. Malt beers range from a dark brown color to a copper and range from a full bodied to a light flavor; these also tend to have a higher alcohol content. The flavor profile of a malt beer can range from a warm and nutty feel to a fruity and toffee-like flavor. These tend to combine a mild, crispy quality with full yeasty malt flavors; much like bread, toasty and almost nutty undertones. Stronger malts tend to have a touch of caramel. The fruity and toffee brews typically have mild fruity aromas, the caramel, toffeeish flavors are matched with hints of dried fruit. The brewing process for malt beers tends to entail roasted malts, these are heated at the highest temperatures until they are close to black in color. Hops are another key component in making malt beer, these are for the spicy flavor that most if not all malt beers are known for.